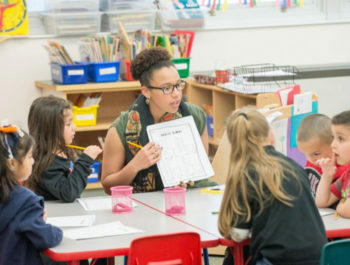 The Urban Teachers residency program in D.C. is one of many new alternative routes to becoming a teacher that have sprung up as education schools have come under attack for inadequately preparing teachers for today’s challenges, including higher standards, new technology, and stubborn achievement gaps. Alternative routes are often faster than traditional education-school programs, making them attractive to career changers and noneducation majors like Meghan Sanchez. But residency programs like Urban Teachers are something of a hybrid of traditional and alternative routes, and some experts hope they’ll be the wave of the future.